In exploring more satisfying ways of being, over the past six months I’ve been intentionally practicing connecting my feelings and my behavior with the underlying universal human needs I’m seeking to meet. To both survive and thrive, we all have needs for well-being (sustenance, safety, and play), needs for connection (acceptance, appreciation, and understanding), and needs for expression (autonomy, honesty, and effectiveness). My exploration has been rewarding and challenging. This past month, I’ve spent time with the Board and others working on the article in the church bylaws that covers the rights and responsibilities of members. I started thinking about what needs are being met when people become members of our congregation. Our church community offers opportunities to meet various needs. These include the need for inclusion and acceptance, the need for mutuality in understanding and valuing, the need for authenticity and integrity in the expression of who we are, the need for openness to challenge and inspiration for growth and learning, the need for rejuvenation and fun, and the need for finding meaning in and gleaning wisdom from our life experience. These are all important needs, and I am grateful that UUCBG offers us opportunities to meet them. 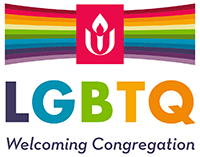 As a faith community, UUCBG provides a unique opportunity for meeting the need to contribute. Yes, contributing is a need, just like the need for support and care. It’s a need I believe we all share. UUCBG provides us with opportunities to contribute our time, talent and treasure in many obvious, easy, and feasible ways. We have opportunities to make contributions that have a significant impact. I find here an opportunity to contribute to building and sustaining an institution whose mission I consider valuable. Not just having value, but also reflecting my values. I am part of creating our vision and of living into our covenants. I find many ways of contributing, which in turn offer me opportunities to meet my needs for well-being, connection and expression. What needs does being part of UUCBG meet for you? As you think about stewardship of your resources and are filling out your pledge forms this month, I encourage you to consider how UUCBG contributes to meeting your needs. How do you feel as you meet your need to contribute by being part of a caring community that encourages spiritual growth and actively works to improve our society and the environment? How will you share your time, treasure, and talent with this congregation that envisions itself as a wellspring of spiritual exploration, learning and action, where all are inspired and empowered?